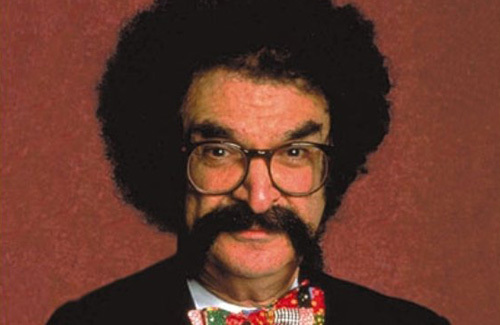 Film critic Gene Shalit (closest approximation I could find to David Wolf), circa 1980. (http://imdb.com). This date was one of the great ones during my Boy @ The Window years. It was a day (and evening) that almost made me forget the role I’d been in since the spring of ’81. One as the sometimes adult male with adult responsibilities on the one hand, and as the nearly ostracized emotional equivalent of a twelve-year-old on the other. But yes, even small miracles (at least in my mind at the time) did happen. The New York Metropolitans, my Mets, won Game 7 of the 1986 World Series thirty years ago on this date 8-5, a biting cold Monday night at the end of October! 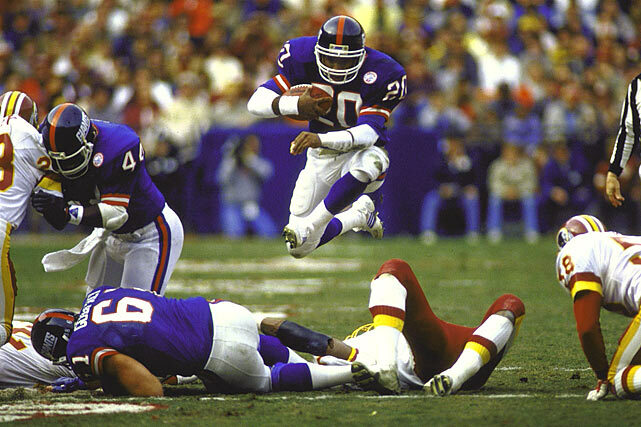 My Giants beat and beat up the Redskins that same evening 27-24, on their way to a 14-2 record and their first Super Bowl. My underdogs weren’t anymore. Within three days of that ultimate day of vicarious escapism, the reality of having neglected my studies had sunk in. Or, to be completely honest, the reality of needing much more time to study than I could’ve ever devoted, even without the distractions of senioritis, my Mets and Giants winning or on their way to championships, set in. Because that’s what it would’ve taken for me to have a successful senior year at Mount Vernon High School academically. A greater commitment to AP Physics C, AP English, and AP Calculus AB than my bifurcated life would have allowed. Between four siblings ages two to seven, college applications, and constant errands and chores for my Mom, my weekends of tracking down my father at one watering hole or another, I should’ve gone off to college after my junior year. I should’ve used the summer of ’86 to take gym or something to get the one-quarter credit I needed to graduate. Instead, here I was with the one teacher who was probably the one most ill-equipped to handle any students other than near-genius devotees to AP Physics. I had David Wolf the year before in high school Physics, so I knew how intolerant he could be toward students who were unprepared, or “just [didn’t] get it.” Or, at least I thought I knew. The week before the Mets’ Game 7 win, Wolf had given us our end-of-marking-period exam on mechanics, and the day after was when we received our exams back with grades. I had the fourth highest score out of seven students, a 22 out of 100. You can look at any grades I’d earned prior to and since this exam in any course between kindergarten and doctorate, and none come close to a 22. But it obviously wasn’t just me. David Wolf was another character who was sometimes funny but otherwise sucked as a teacher. It would’ve been hard for me to know what Butler had been like as a teacher when he was happily married. Wolf was a mediocre teacher on his best days because he simply didn’t care if we learned anything in his class. Of course that didn’t make him much different from most of our other teachers. What made Wolf different was the fact that he went out of his way to embarrass students, as if the shock of being outed by him would somehow make us better. Wolf “taught” us the more difficult AP Physics C version of this Physics course, involving mechanics, electricity and magnetism. It was the equivalent of second semester Physics right from the start, and most of us needed at least a semester of Calculus to keep up with him. Had I known this was Wolf’s plan, I may well have taken my former classmate Laurell’s advice (eight years too late) and switched to AP Biology. Instead, I chose to see this as a new challenge I could take on and will myself through, just like I had in every other difficult class I’d taken up to that point. But after the first two months of the year, it crossed my mind that struggling through this course wasn’t worth it. 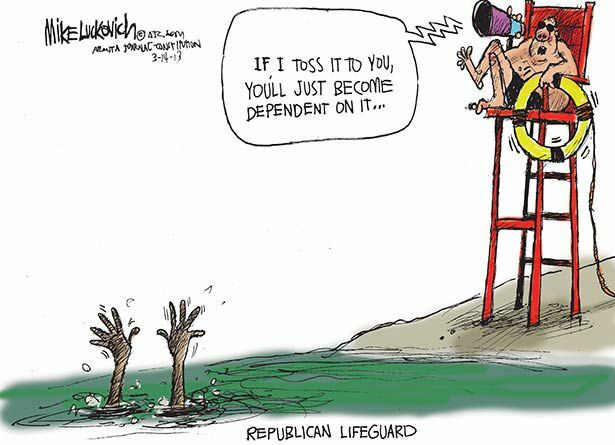 Sink or Swim Republican Lifeguard Cartoon, Mike Luckovich, March 14, 2013. (Luckovich/Atlanta Journal-Constitution; http://luckovich.blog.ajc.com). When I wrote in Boy @ The Window, “Laurell was practically using third-semester Calculus to build the Great Pyramids by comparison,” it was hyperbole, of course. Partly because Egyptian calculus was likely more complicated. And partly because Laurell had done something that I couldn’t do. She had gone to Wolf at the end of eleventh grade and borrowed from him a copy of the AP Physics textbook. She had devoted much of her summer to studying up on AP Physics and AP Calculus BC (once the harder version of AP Calculus) before day one of twelfth grade. So Laurell was going to do well, no matter what. Dozens of hours to study wasn’t sometime I had at chaotic 616, textbook weeks ahead of time or otherwise. However, me doing well or terribly wasn’t my issue with Wolf. It was his sink-or-swim approach, with no attempt to help struggling students in any way. It was his dickish attitude, where he would literally lean on his stool or against the chalkboard insulting us as we attempted to answer a Physics problem. Wolf’s class remained the most painful academic experience I’d have in Humanities. Period…Wolf continued to berate and belittle us, wondering, ‘Why are you still here?,’ or exclaiming ‘You decided to show up today!’ On the rare occasions I managed to solve a problem at the chalkboard, he gave me a Bronx cheer, the kind good Yankees fans gave when their team was down ten runs and a Yankee hit a home run to close the gap to nine. Now, some would say this was good preparation for college. Where? While I certainly have known indifferent professors regarding my own abilities or their distance from other students in general, I’ve only known a few who even threw out the rare bit of sarcasm in the classroom. Plus, for courses like Physics, there were TAs who could walk students through problems better than Khan Academy. Even saying that Wolf was good preparation for graduate school would be a stretch. Quiet exclusion, rather than insults and ostracism, is the rule at the doctoral level. And having an advisor like Wolf would’ve led to blood, and not my own, plain and simple. After years in the classroom with high school, undergrad, and grad students, I understand that being a professor isn’t the same as being a K-12 teacher. Most of the time, I’m not dealing with parents (except as students), I don’t teach five days a week, and I have the expectation that my students should behave as college students. All the more reason that as I have grown older and more experienced as an educator, the more I’ve found Wolf’s behavior objectionable, even almost unforgivable. In all seriousness, why even show up to teach if your primary form of solace at work is yelling insults at students while standing in the hallway in between class periods? 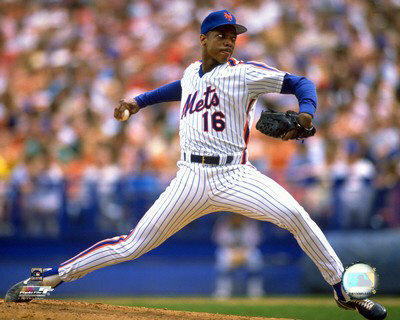 Dwight Gooden, aka, "Dr. K," Shea Stadium, 1986. 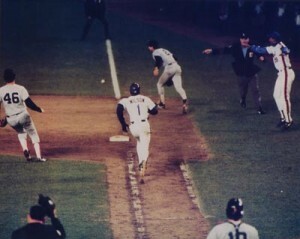 (Source/http://itsonbroadway.wordpress.com/2011/05/16/dwight-gooden-aka-dr-k/). While the country waits to see whether Congress and the President will find a way to entertain us with political gridlock and endless compromises and capitulation, I realized this week that I have a twenty-fifth anniversary this month. It’s been a bit more than a quarter century since my New York Mets won the NL East division title (their first since ’73), one more brick in their World Series wall that year. Those not-so-Amazing Mets were a juggernaut that year, having won 108 games and run away with the division lead by the end of June. Gooden was Dr. K., and, along with Ron Darling, Sid Fernandez, Bob Ojeda, and Jesse Orozco, led the pitching staff. 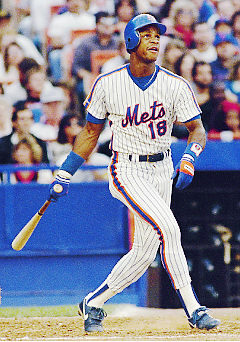 While Darryl Strawberry was the straw that stirred the drink on offense, along with Lenny Dykstra, Gary Carter, Howard Jones and Keith Hernandez. God, I really loved that team! Darryl Strawberry home run, Shea Stadium, July 2, 1988. (AP Photo/Mark Lennihan). I really did. I imbued the Mets with all of my hopes and dreams, and saw their wins as a way to see myself as a winner. And whenever they lost a game or a series, I saw myself as having lost as well. I was aware of all of this on some level, that making my life circumstances a parallel story to that of a major league baseball team was, well, a bit childish. But given my life since the age of eleven, I needed that outlet, that room to be a child, if only for two or three hours a day. In between watching my four younger siblings, washing clothes at the laundromat in Pelham, dealing with my alcohol father and my idiot stepfather, running back and forth to the store, applying to colleges, and facing the hell that was my senior year at Mount Vernon High School. Especially with three AP courses, a touch of senioritis, and a number of classmates at each other’s throats. Including my own. As the season took forever to wind down (the Mets clinched the NL East division on September 17, more than two weeks before the end of the season), the pre-WFAN station for the Mets (WHN-AM, a country oldies station until the 24-hour group took it over in ’87 and renamed it WFAN) started playing their World Series-or-bust promo, “Dr. K All the Way! — Let’s Go Mets!” So silly, so goofy, so geared toward long-suffering Mets fans. “Is that the best you can do?,” I thought every time I heard the ten-second spot. Apparently it was, and it didn’t matter either way, because fans are usually too fanatic to sweat the goofy stuff. I became even more involved in rooting for my team as they moved into the playoffs. I’d listen to games in class, between classes, even in between questions, it seemed, in my AP Physics class. To say the least, my grades suffered, and more than a few of my non-Mets-fan classmates berated me in the process. But how could I explain to them the psychic bond I felt to this team? A feeling that somehow, if they, the downtrodden Mets, could pull off the ultimate victory and win a World Series, that I, a nobody, could make my life a victorious one as well. My more affluent and too-busy-being-cool classmates wouldn’t have understood that. As it was, I barely understood it myself. 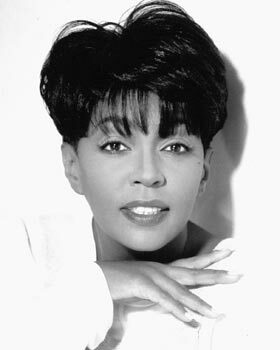 Fast-forward twenty-five years. I’m no longer a baseball fan, and have no intent to fall back in love with a game I find boring, and with an institution that represents culture and race in America that is so pre-Civil Rights Movement and twentieth century. Most of my Mets still have their rings, even if key players on that team have been or are in prison, recovering drug addicts, and have made and lost hundreds of millions of dollars speculating in the snuff and stock markets (see Lenny Dykstra ’09 HBO Real Sports interview excerpt via The Young Turks). But I still have that child-like sense of hope and yearning. I just don’t place it in anonymous others anymore. I haven’t lived or died with a team since my Knicks came within a missed 3-pointer by John Starks of winning the ’94 NBA Finals in Game Six. But I do place it in myself, because between God and me, and the others I’ve met and befriended in my life, I’ve been able to move mountains. Which is why it does and doesn’t matter if the job stimulus passes in whole, in part or even not at all. I need to take that same optimism, that same hope, convert it to more hard work, and find a way to infuse it in my son, so that he can run the race, even if and when I can’t. In the process, I hope he find heroes he can look up to in the fall, even if they are fleeting ones.